I had a major burst of excitement seeing that my favourite fantasy series has a third book! Can’t wait to pick it up. I’m completely immersed in the story and world of Gair, Teia, Maegern and all the other characters. I think I’ve read my copy of Songs of The Earth five times, the spine being completely broken and falling apart, but I’ll read it again until I’ve ordered this book! Just wanted to say I really admire your work. I too want to know if there will be a UK audible – please! Latest information from the digital guys at Orion is we are green for go on a UK audio edition of The Raven’s Shadow, but still no news on when! I literally just finished Trinity Rising, and was so glad to see the third book is finished, but “when” in the US will it appear. Great read, what a cliff-hanger!! Anita, I’m delighted that you enjoyed it so much! 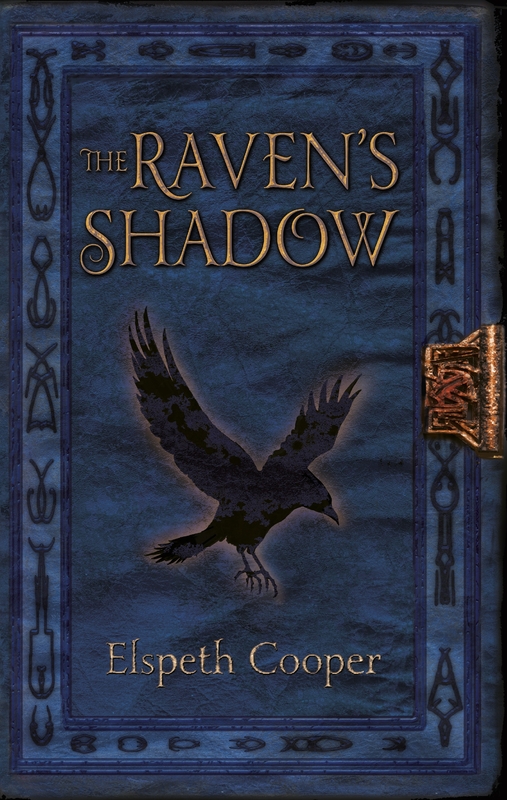 Just so you know, it looks like The Raven’s Shadow will be out in the US at the beginning of March 2014, so not long to wait. I am also giving away five signed copies here – one week left to enter! any idea if there is going to be an audio version of this book? Do you have any idea when the raven’s shadow will be released on kindle ? For now it’s only “the real deal”. As far as I know, the UK Kindle edition will be available at the same time as the print books: 15th August. If you’re elsewhere in the world, I’m afraid I have no firm news on release dates, other than a guesstimate of “about a year after the last one”! Can’t wait for Raven’s Shadow! Just finishing up Trinity Rising. I am in love with the storyline, and the characters. I picked up the first book after Games of Thrones finished their season, and now I am HOOKED. I hope this is picked up for a series!! I’m delighted to hear you’re enjoying it. As soon as copies of THE RAVEN’S SHADOW arrive in my hot little hands, I will be doing a giveaway – watch this space! And don’t worry, if HBO or anyone else comes a-knockin’, I’ll make sure to let everyone know. 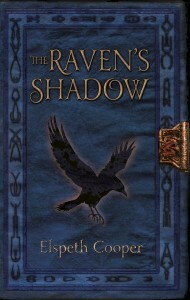 I’m eagerly awaiting August 15th and The Raven’s Shadow. I want to know what happens to Gair, Alderan and all the main characters in peril as we left them at the end of Trinity Rising. Don’t want to put the books down once I start them.